With the release of Dead Rising 4 just around the corner, we thought we’d look back at one of our favorite series and see how Dead Rising has grown from its humble beginnings on the Xbox 360 to where it is now. Frank West: He's covered wars you know? Dead Rising first shuffled onto our Xbox 360’s in 2006 and brought with it a genre mix we didn’t know we wanted until it arrived. Dead Rising fused the classic Romero-stylings of slow-moving zombie hordes with light-hearted comedy. 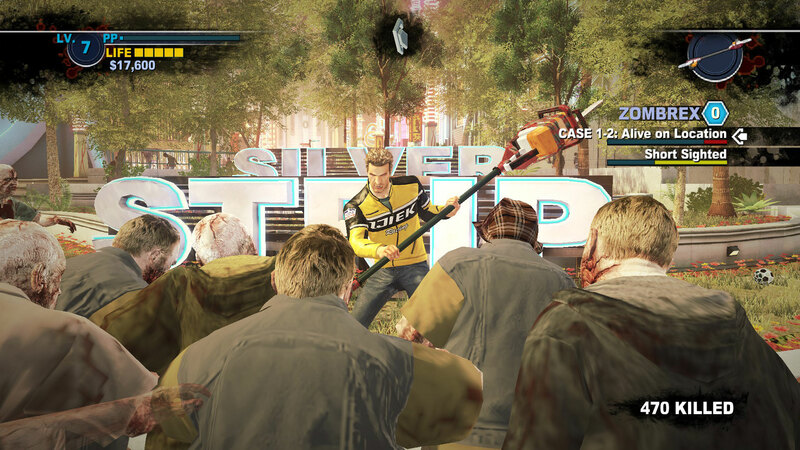 One of the early appeals of Dead Rising was its color palette. It rejected the normal grays and browns the zombie genre is sodden with and opted for vibrant visuals. The color aesthetic offered us our first understanding of the world we were about to visit. For its time, Dead Rising was showing an impressive use of the Xbox 360 architecture. Everywhere you looked there were zombies packed together, clogging your path to the next survivor. Were it any other game, you would simply hold down a trigger and wait until they all died. Even though Dead Rising boasted an impressive amount of variety in zombie killing, one of the best tactics was choosing your battles. It would often become a skill to analyze the layout of a pack of zombies in search of the weak point in their midst so as to avoid getting caught. This skill became a necessity if you were even considering working through Infinity Mode in search of the 7 Day Survivor Achievement. 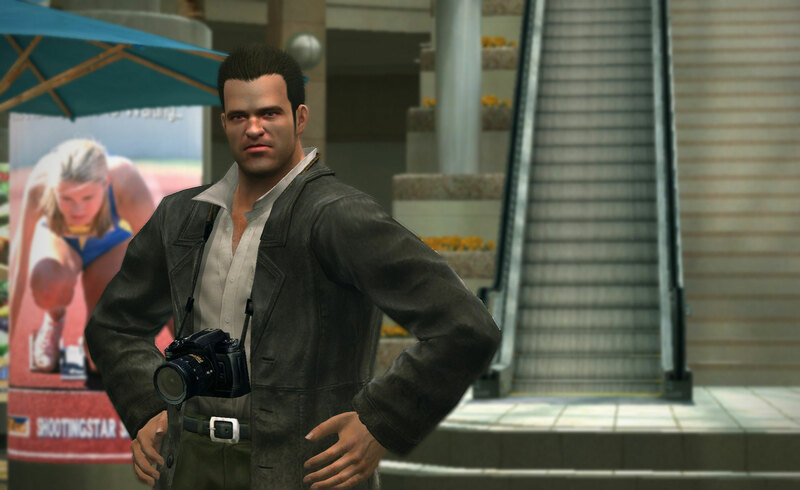 Dead Rising wasn’t without its faults, which ranged from inconvenient to rage-inducing. The survivors, whom you would have to lead around, would often get themselves caught in a mob of zombies with no means of escaping. Even after giving them a specific location to reach, they would still linger, fighting with a zombie that slightly gets in their way. This problem with the AI led to reloading encounters in an attempt to save the survivor who got caught in the previous loading zone and ended up dying. Reloading the game was often a gut-wrenching decision as it meant you were more than likely going back on several minutes or even hours worth of work. This was due to the way saving worked in Dead Rising, which required you to move into a toilet and save at a cubicle. Much like in real life, bathrooms in shopping malls are difficult to find and they’re always across the other side of the mall. So, the decision to save meant searching out one of the bathrooms which can become a problem when you’re being followed by eight survivors with terrible AI pathing. Despite this flaw, the crux of enjoyment in Dead Rising comes from the combat and zombie interactions. 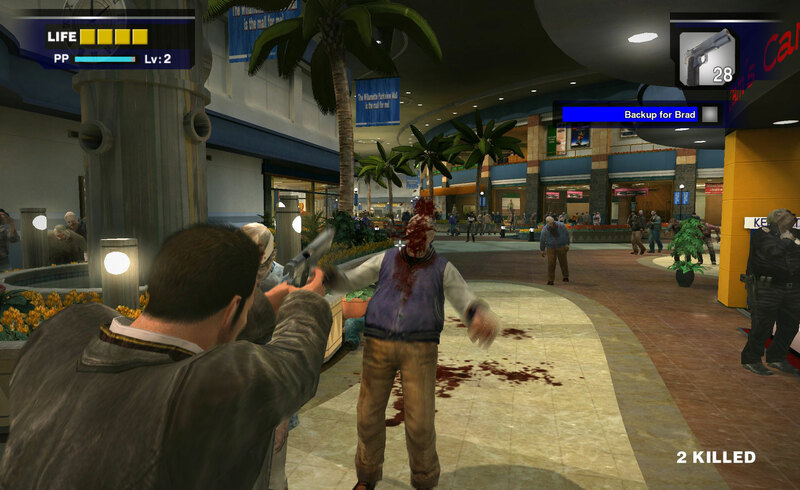 Featuring both guns and melee weapons, Dead Rising allowed you to kill the hordes of zombies in various styles. Longswords and katanas slice through the waves while well-placed marbles cause the zombies to fall on their rear. Dead Rising offered the perfect mix between lethality and comic relief. You could spend your time placing LEGO man-like heads on the zombies to render them harmless or pick up sledgehammers and turn them into puddles of goo. Dead Rising 2 took what the first had accomplished and piled on more goodness. The story in the first Dead Rising was surprisingly non-cliché. Sure, you had the classic zombie outbreak and army retaliation, but the cause of the outbreak was unique. Despite the unique angle, Dead Rising lacked emotional motives. Luckily, Dead Rising 2 made up for this in spades. With a world slowly healing from the recent zombie outbreak, society is coping with those who are infected by dosing them with Zombrex, a drug that holds off the dreaded “turn”. With your own daughter requiring doses of Zombrex to keep from turning, your primary goal in the game is laid out before you. The strings of our hearts went from being tugged to wrenched when the sweet pea exuberantly tells us she’s finished another level in Mega Man. Capcom, these emotions you’re making me feel, this is supposed to be a comical zombie game! 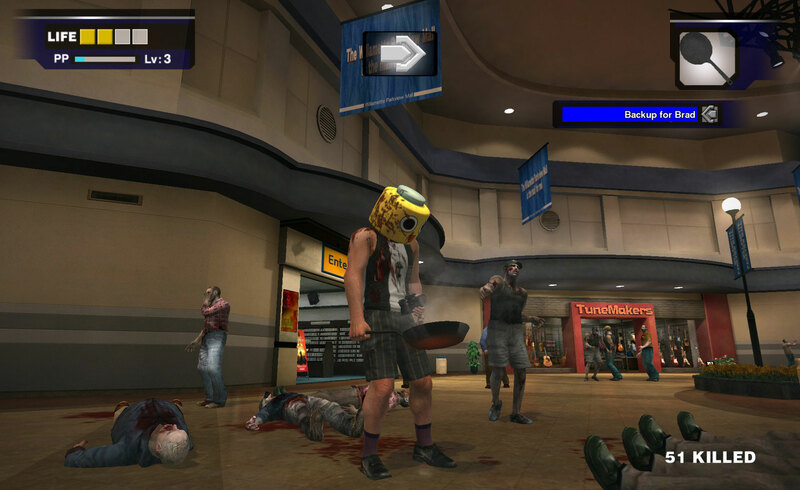 This is where Dead Rising 2 shines as it gives you a reason to hunt down Zombrex, a purpose for your frantic searching. So while it is fun to hunt around for new weapons, you also know that you’re looking for something important to save someone you love. Gripping emotional motives aside, Dead Rising 2 also added the ability to craft special weapons. Did you find an axe and a sledgehammer? Make your way to a workbench and have Chuck duct-tape them together to increase your killing potential. What’s truly interesting about these combo weapons is how you learn to make them. Come across a movie poster of a teddy bear wielding machine guns, and Chuck will use this as inspiration to create a cuddly killing machine. Staying true to the formula of the first, Dead Rising 2 is set in an enclosed sandbox populated with more zombies and countless ways to interact with them. Players find themselves in another Willamette Mall-type location, this time a Vegas-like strip known as Fortune City, replete with restaurants, shopping outlets, gambling centers, and hotels. There were plenty of locations to visit and even more ways to take out the zombies. Dead Rising 2 also included co-op. A friend could jump into your story mode and help you slay zombies or assist with rescuing some of the wily survivors. 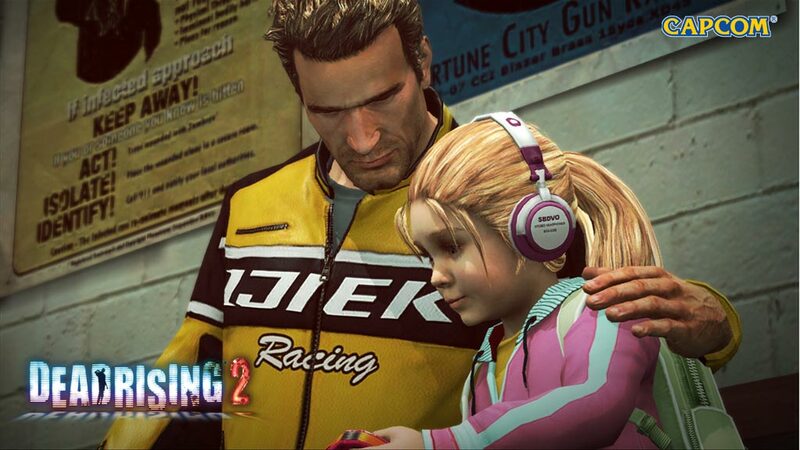 Dead Rising 2 was nothing if not an outright improvement to the series, having fixed a lot of the finicky issues like saving and AI behavior that plagued the first game. Saving still required visiting a bathroom, but the amount of save slots were increased to three, allowing for backups. The survivors’ AI also allowed them to better deal with zombies while the zombies would focus more heavily on Chuck when survivors were in tow. This lead to a more rounded out experience and ultimately made AI-interactions less frustrating. Dead Rising as a series seemed to be progressing in the right direction with Dead Rising 2 improving upon what was introduced in the first game. 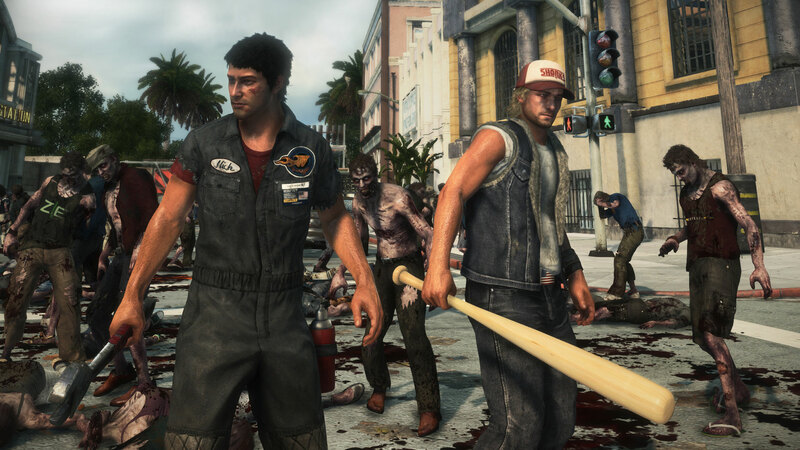 Then Dead Rising 3 hit our Xbox One consoles and later our PCs, and with it came a whole host of improvements. These improvements extended to the number of zombies on screen as well as their physical appearance and their AI. It also brought with it an improved save system and crafting menu so that Nick didn’t have to visit a workbench to create weapons. These improvements made the game look and play better, but unfortunately, that’s where the buck stopped. 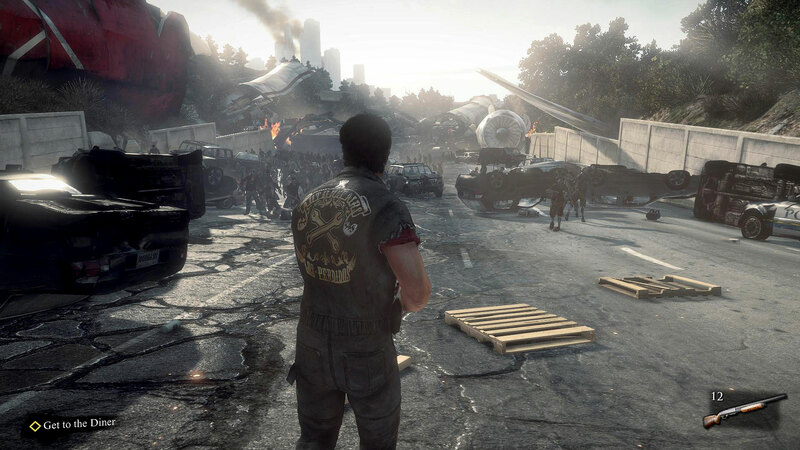 Dead Rising 3 shifted its aesthetics away from the vibrant, comical stylings of the previous titles into a grittier palette of grays and browns. Despite keeping the humorous interactions with zombies, like placing masks on their faces, the game aimed at a more serious-toned zombie romp. Dead Rising 3 boasted a map large enough to fit Dead Rising 1 and 2 inside of it. While at first the promise of a larger map seems likely to be filled with more content, in reality, a lot of the buildings were either vacant or unable to be entered. This was obviously a step down from the previous titles were every shop was not only open but contained relevant content. The larger map also led to longer treks between points leaving you merely remembering previous locations and not willing to return to them. With the innovation of the Dead Rising series peaking around Dead Rising 2, we have some slight trepidation about what Dead Rising 4 is going to deliver. Based solely on the reveal trailer and the box art, it appears that Capcom is sticking with a grittier Dead Rising as opposed to the more light-hearted style of the original games. Admittedly though, the box art (which is what we’re basing this on), does appear to be slightly lighter than Dead Rising 3’s gloomy artwork. 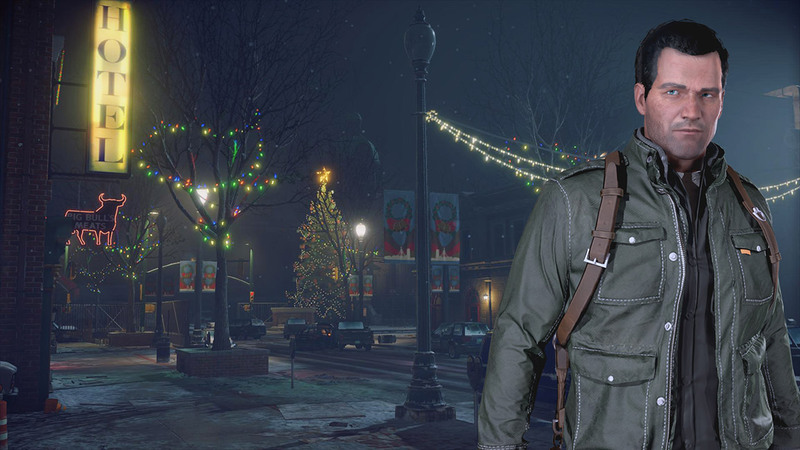 However, despite the early concerns, it’s comforting to see a return to Willamette, Colorado with our beloved hero Frank West. Regardless of color palette, we’re excited about the release of Dead Rising 4, coming to Xbox One and Microsoft Windows on December 6th.